Companion George could be described as “well-travelled”. Born in Rumania, he has subsequently lived in a number of countries and continents, acquiring a variety of skills ranging from living on the street to being a soldier and working in Security and speaking 7 languages! But George is a man with a plan. He wants to help others just as he has been helped himself. In true Emmaus spirit! “I’ve now been at Emmaus Bristol for 10 months. I am pleased to have been given an opportunity to use my skills and to have space to figure out for myself what I want to do. Liz in the support team has guided me in my search and I am going to Cameroon!! I’ll be working with Association Sportive de l’Estuaire de Douala as a volunteer to begin with, and I hope I can become a fully-fledged member of staff”. George then explains what the job is going to be. “I’ll be living in a house with 25 boys aged from 10 to 17 or 18 and be one of two mentors. These children come from low income families or were living on the street. I know what it’s like. I was there when I was 7…I know I can help them to become a person of their own. Even if your parents are not around, you can learn to know yourself and open the doors to a good future. I can help the boys believe in this. I’ll take care of their safety; protect them from exploitation or slavery or any other bad situation. Sport, education, work, are key players in learning not to be demoralised by one’s own circumstances. 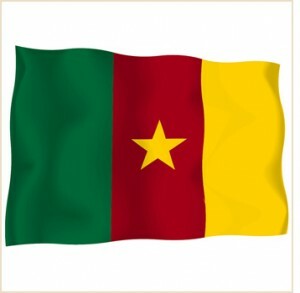 I will do my best in Cameroon because I want to make mine what Abbe Pierre said: “There is no peace and no fullness of joy except in giving first place to serving first those who are most forgotten and those who suffer most”.